It’s nearly time to get our hands on the new cards. 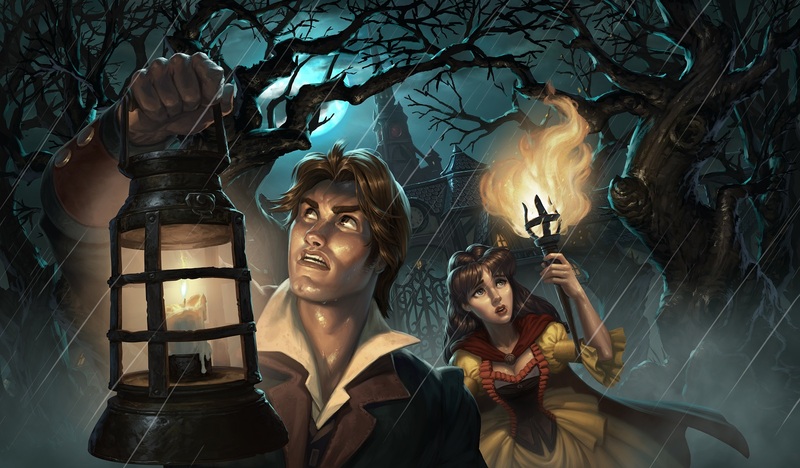 The final card reveal stream is over. 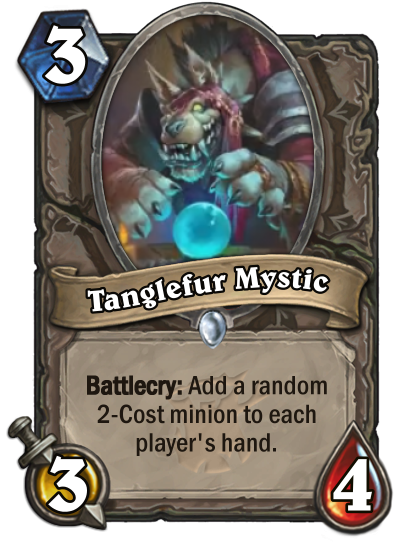 With all the card reveals now complete, it’s time to look ahead to the expansion’s release on Thursday. It’s a brave new world out there, the meta is about to change beyond recognition. Bring it on. If you miss Wips of the Old Gods, this is the card for you. 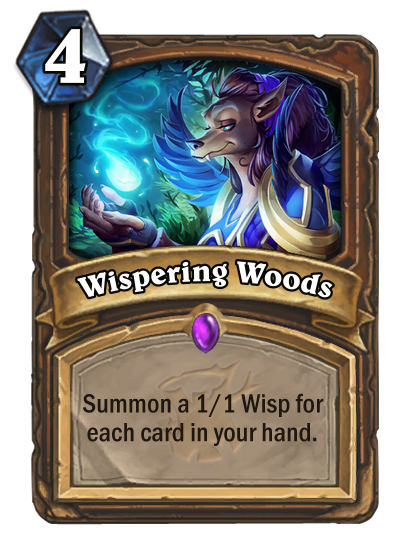 A big hand can get you a whole board of Wisps for just four mana. Who doesn’t love Wisps? 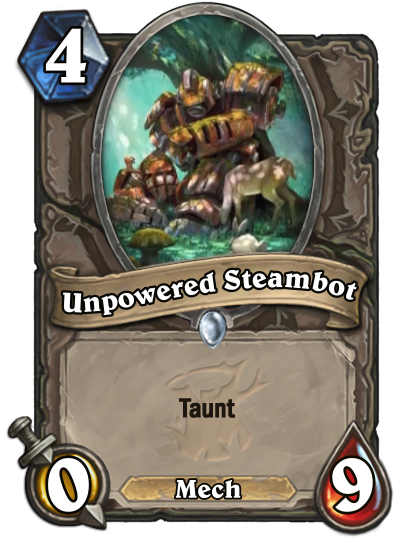 This isn’t that flashy, but it’s one of the sleeper minions released in the stream. 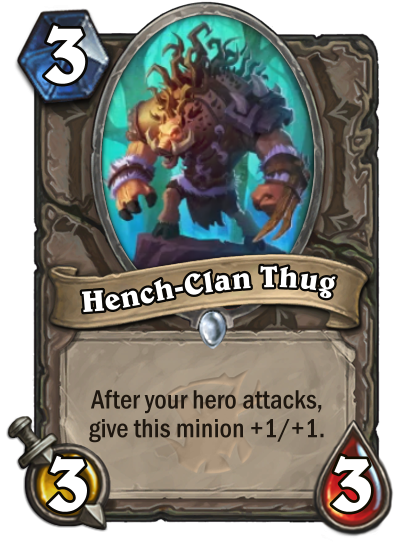 This could be a staple of an archetype, with the incredibly useful combo of Lifesteal and Rush. 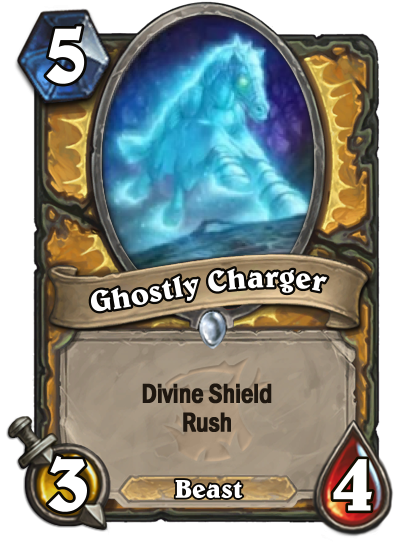 This is another great double Rush effect, with Divine Shield making sure it doesn’t die straight away. It feels like Rush alone might not be enough value—but some of these more versatile cards could see play. 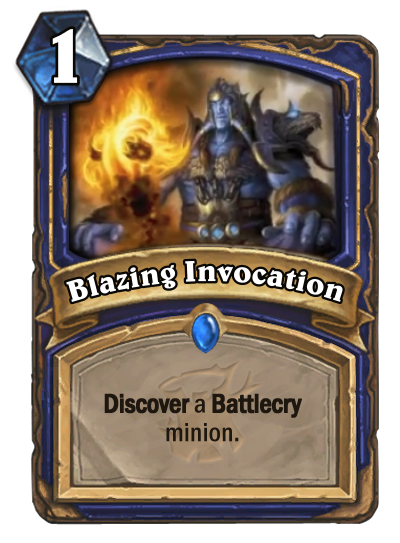 Journey Below for Battlecry—a card we never knew we needed. 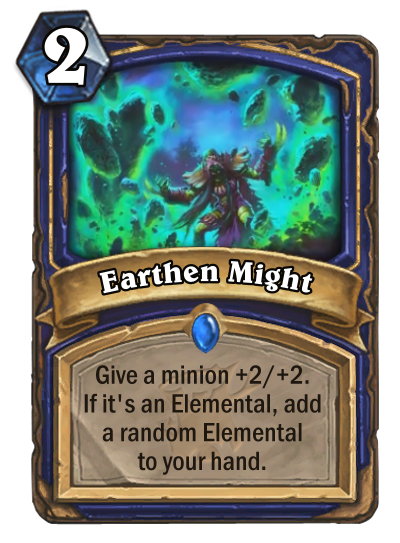 Elemental Shaman gets some new tools in this expansion, as that class continues to search for relevance. 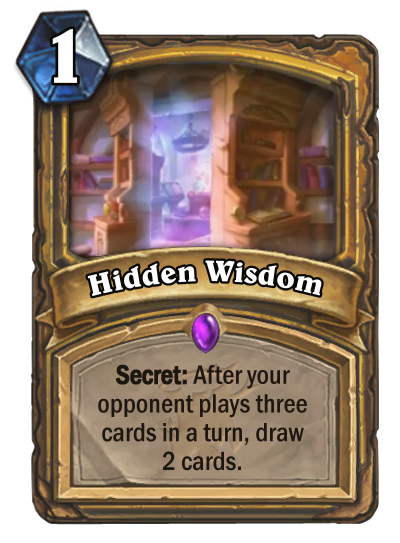 A new Paladin Secret arrives along with some Secret-related cards, with this one having a totally unique condition to throw your opponent off. 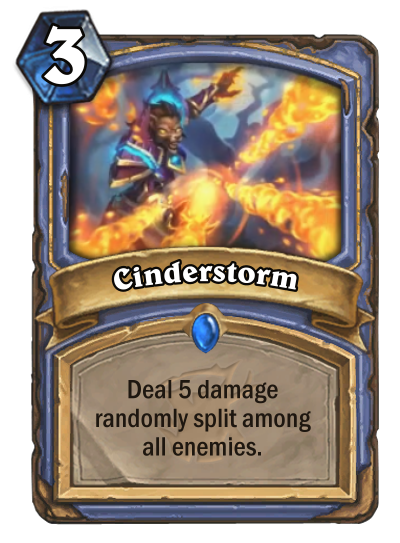 Mage is going to need some odd cost damage spells to make that deck work, so here’s Cinderstorm. 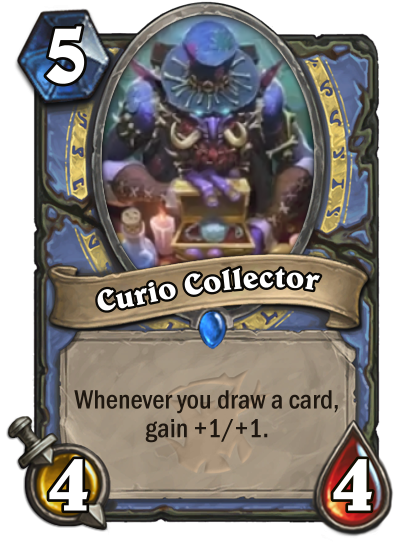 This kind of card has been seen before, but it’s another attempt at a growing draw-related card. 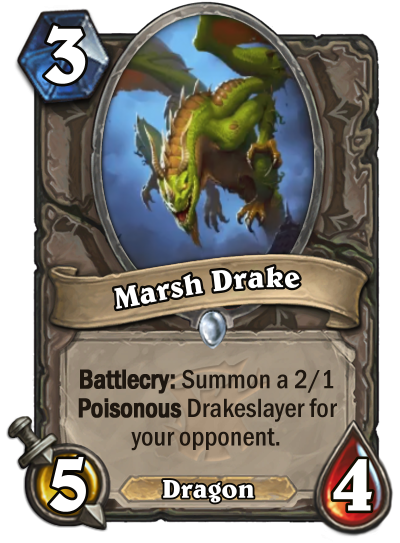 As a ton of Dragons rotate out, here’s Marsh Drake to try and keep the deck relevant. 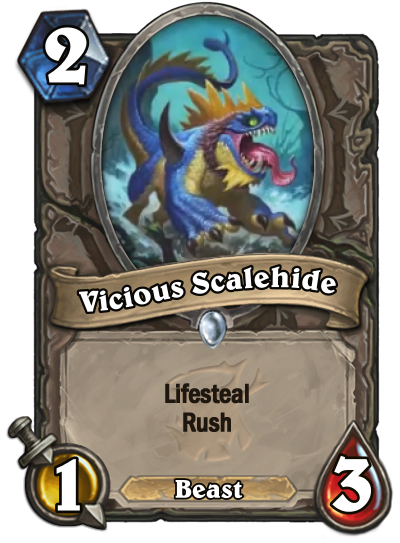 Hungry Dragon was a bust, but this is a lot of stats for three mana. Two attack for seven mana? No thanks. 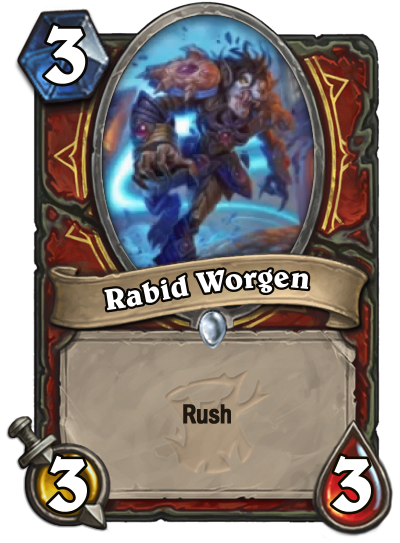 Not every Rush card can be a winner, and this is pretty vanilla. It’s a charging Ironfur Grizzly! 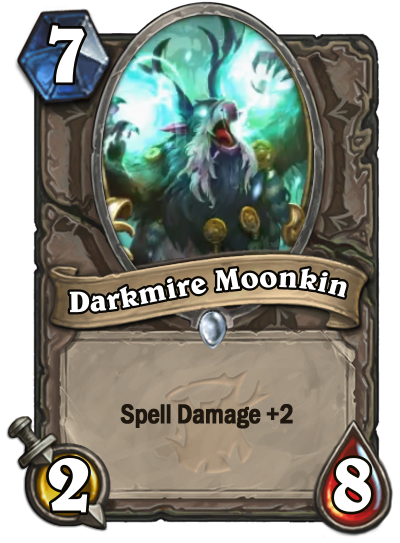 Remember when Mage gave everyone spells? Now everyone can give your opponent cards. If you have a weapon class, this could see play if you really want. This is another new Dragon, with less of a big drawback. This is a big bunch of stats—but you’ll need to keep it healed up to keep it effective. Haven’t we all missed Mechs? No? Well, you’ll probably keep on missing this card. 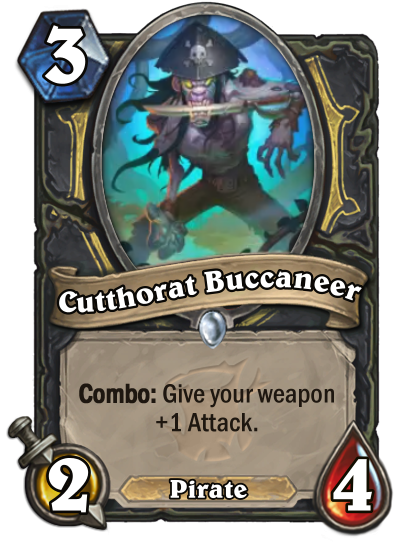 This Pirate has the potentially to make some pretty tasty daggers in a Tempo Rogue deck, a sleeper to watch out for. 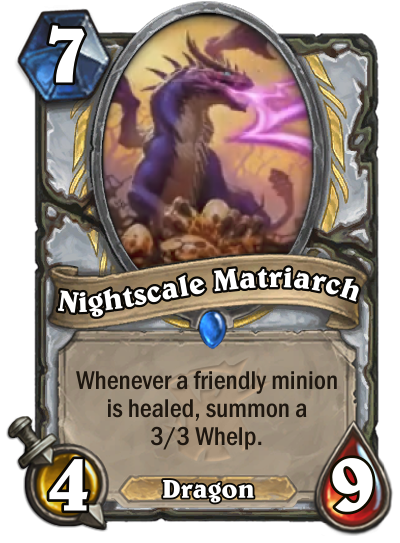 This is one of the low-key nuttier cards shown off tonight. 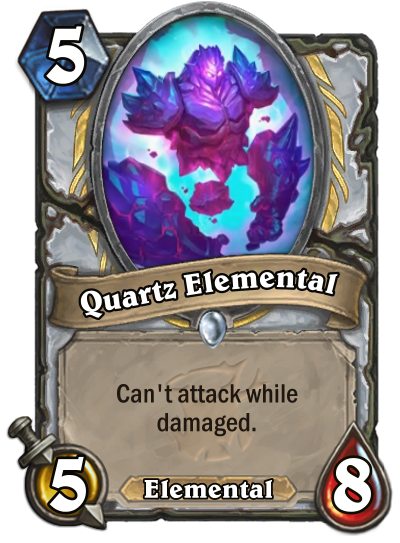 Even with only one minion in play, this is 12 potential healing. 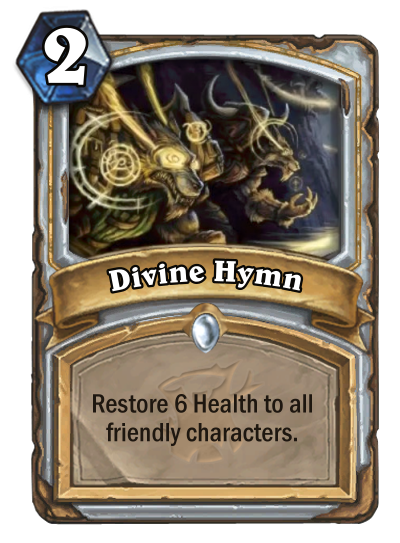 This is not a lot of mana for a big health swing.